Hi girls! Erin here posting Friends with Flair! Can't wait to see your beautiful Unity projects. So don't forget to link up below and also comment on blogs, because we love to encourage and inspire here. 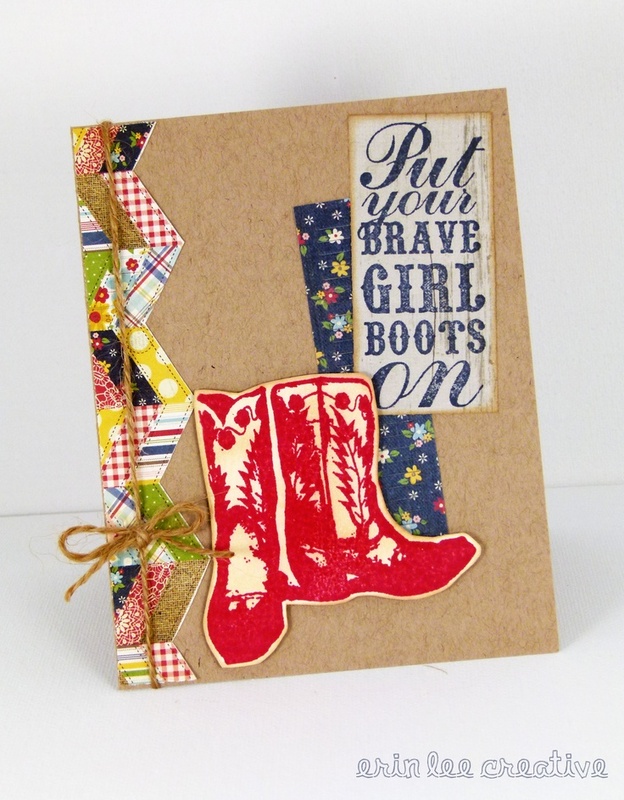 One of my VERY first Unity kits was Brave Girl Boots. It is seriously just one of those classic kits that will never be outgrown or out of date. I still love it and use it to this day! And guess what? It happens to be on sale this weekend for TEN. BUCKS. $10. Here is a card I made with it long ago, but it's one of my favorites. Time to link up your projects! Let's inspire and encourage one another, shall we? Have a fabulous Friday!